I'm back today to do something that I really like, an app review! The app I'm going to talk about is: Track Kit. Are you planning to do a road trip, go hiking, navigating or hunting? With Track Kit you can better plan your trip, and share your route with your friends, sharing with them pictures of your adventure, using your route as the main line for following your experience. 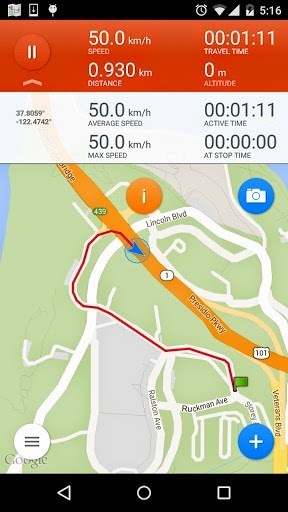 - Record your tracks, add waypoints, and photos, documenting your trip and prepare new routes. - Create nice presentations about the places you have been, you can also insert videos to it. - Share your tracks on Facebook, Twitter, and Gmail. The app is available on the App Store for iOS devices and on Google Play for android devices. The website http://track-kit.net/ it's free and open for everyone, and available in 7 languages. There you can see tracks from people all around the world. Attention aux voleurs, protégez vos valeurs!